A. JOE STOLE THE TEST. B. TONY STOLE THE TEST. C. NONE OF THE ABOVE. A new statewide test has all the students at Bayport High on edge. 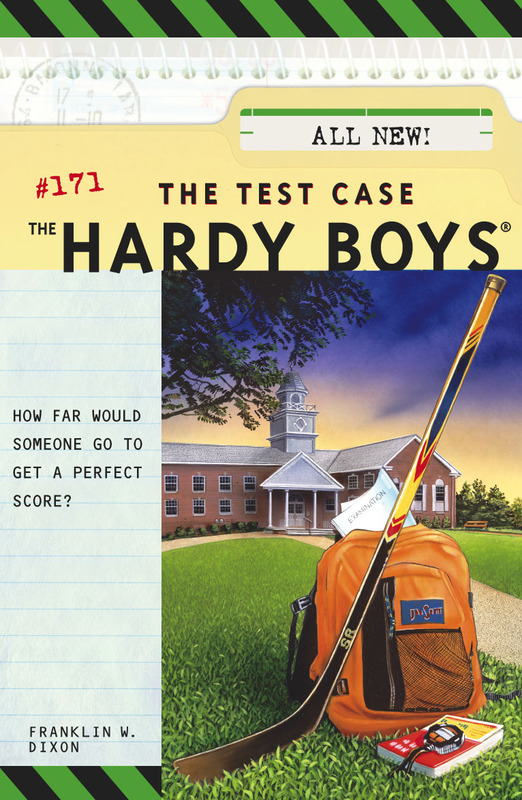 Then Joe and his friend Tony find one of the tests in Tony’s bookbag. Joe knows Tony didn’t steal it, but the assistant principal isn’t so understanding: He suspends them both! Joe talks to the truck driver who delivered the tests, as well as the owner of a tutoring service who promises amazing improvements in test scores. Frank checks out who could have put the test in Tony’s bag—a bag just like the one belonging to a star of the hockey team. Joe and Tony are still in the penalty box, but the Hardys are determined to ace this case! Franklin W. Dixon is the author of the ever-popular Hardy Boys books.